Matt’s always been a visual storyteller. Initially as an illustrator, comic artist and storyboard artist for film and TVCs. In 1991 he took his skills to Tokyo and then on to New York where he wound up as a Creative Director at BBH. 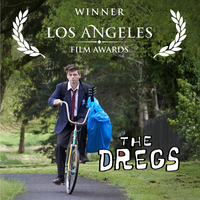 Now back home in New Zealand, Matt is writing and directing shorts like ‘The Dregs’ and developing feature projects.